Gray with black sleeves. 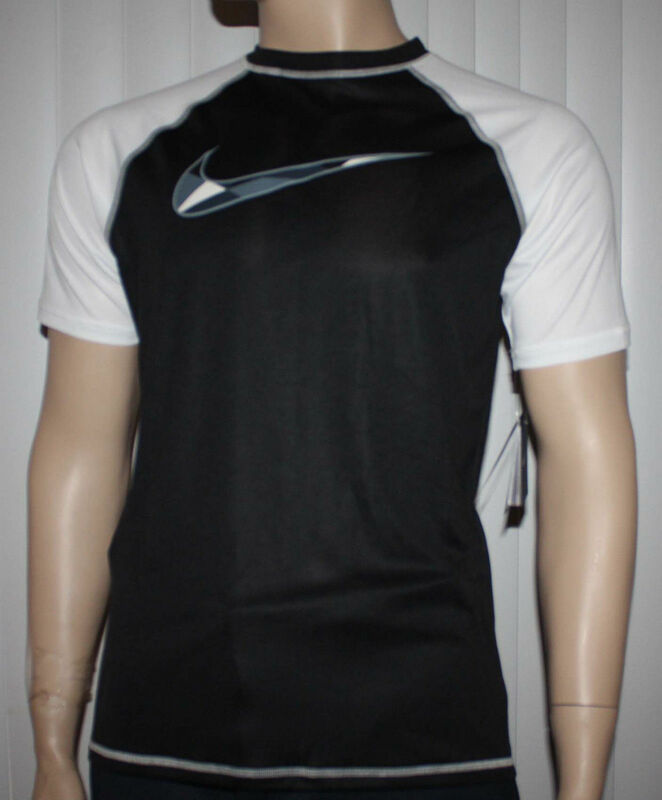 Features a multi-colored checked swoosh on front and a small swoosh in black on back at neckline. 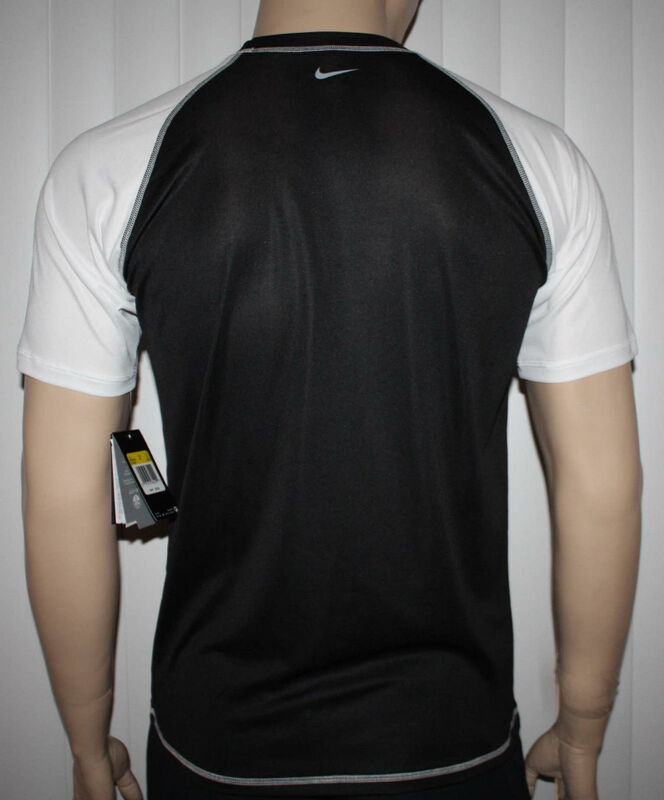 Dri-Fit fabric pulls away sweat to help keep you dry and comfortable. UPF 40 + sun protection. Small: chest: 35 - 37 ½"
Medium: chest: 37 ½ - 41"
X-Large: chest: 44 - 48 ½"